The small hamlet of Rivabella is situated two kilometres far from Rimini and is easily accessible from the A14 Motorway, "Rimini Nord" Exit, or through regular buses no. 4 which depart from the old town (near the railway station) in the direction of Bellaria. 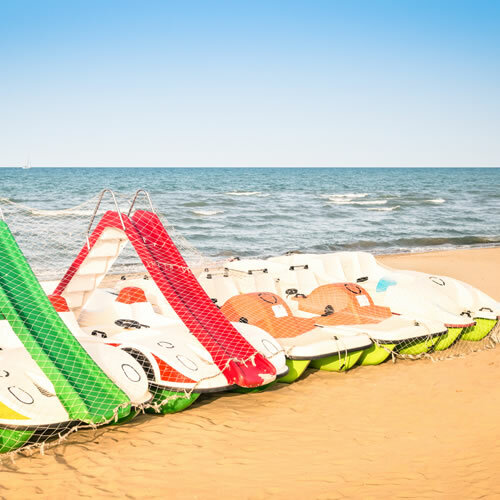 Rivabella di Rimini boasts compelling beaches of fine sand and a calm sea punctuated with safe breakwater barriers which shelter Rimini's coastline, thus making the beach of Rivabella the ideal holiday destination for families with children. 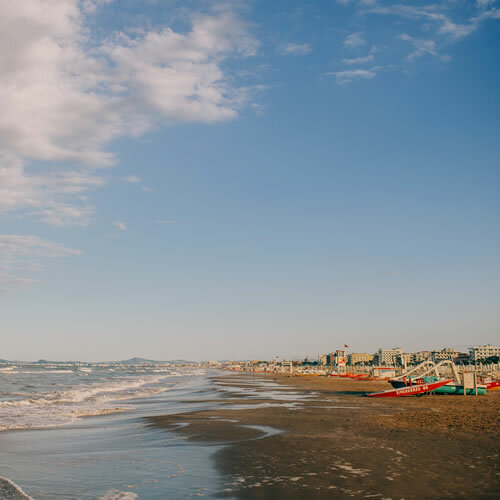 Summer life revolves around "ballroom dancing", the traditional folk dance from Romagna, and the tasting of Sangiovese wine and local ciambella (ring-shaped cake), which are genuine local staples served by any Hotel in Rimini. Apart from amazing parties, not to be missed are challenging sports activities: bocce competitions on the beach, greasy pole and tag-of-war. Rivabella also hosts well-equipped sports facilities, such as the baseball field where "A. S. Falcon Baseball", the official team, regularly trains. A short distance from the field are both football and five-a-side football pitches. Those looking for utmost wellbeing can head to the famous "Pantera" Spring, which is situated 200 metres far from the beach beyond the level crossing. Those flocking here will have the opportunity to drink pure diuretic water flowing from the famous Sacramora Spring, which was named after the aquifers which once flowed under Rimini's cemetery. Shopping lovers will have the opportunity to enjoy Rivabella's sea front, which in the evening turns into a lively meeting place gathering bars, ice-cream shops and excellent fish restaurants. 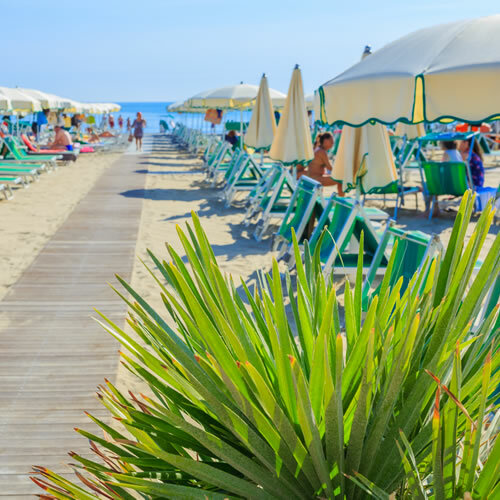 Book a Hotel in Rivabella di Rimini and spend unforgettable holidays here. The beach of Rivabella is the ideal holiday destination for families with children, since it is sheltered by safe breakwater barriers which contribute to keep the sea calm and clean. Rivabella di Rimini is livened up by amazing evening parties which are regularly organized along the city's major avenues. "Pantera" Spring in Rivabella di Rimini is easily accessible and cherishes diuretic water flowing from the famous Sacramora Spring.